I fell in love while in Florida. When I returned from my cruise, I decided to bring the little guy home with me. It was probably not the most “stress-free” choice I could make, but he sure is cute, and cuddly and exactly what I wanted/needed right now. Meet my own little Wicked Prince Charming… a Yorkie-Poo. Isn’t he adorable?!?! 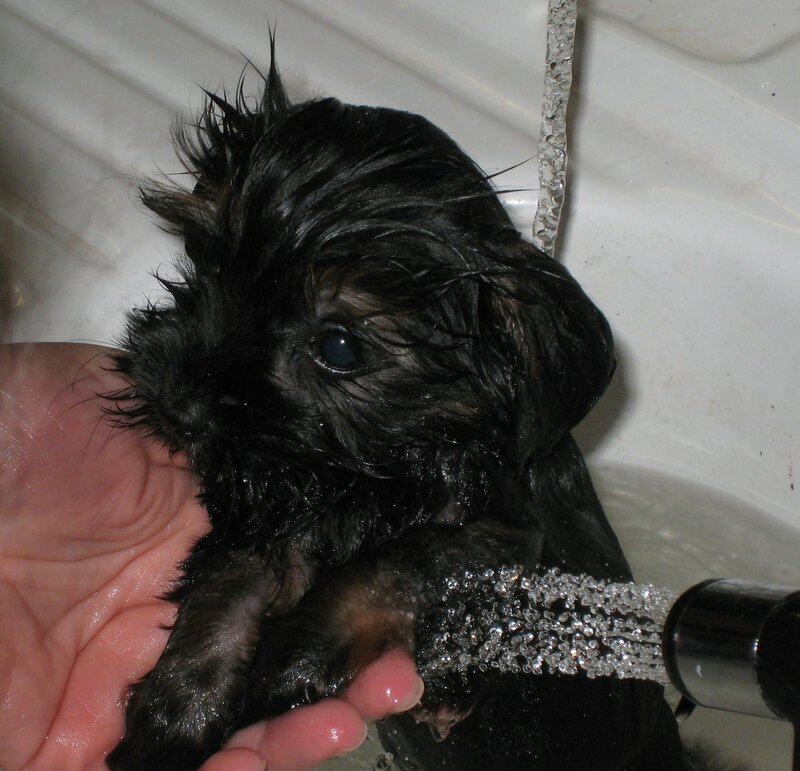 This is a snapshot of his first bath when we returned home. I’ve never been much of a lap-dog kind of person. I actually like big dogs. I have teased the kids for some time that I would eventually become one of those people who had a vicious little dog that loved me and hated everyone else… but I didn’t plan on adopting a tiny teacup of a canine quite so soon. So far, I think the “who loves me” part is going well. The “and hates everyone else” part may be a bit more of a challenge. He’s adorable and loves everyone. He should top out at 3 or 4 pounds. Right now, at just over 8 weeks old, he’s just barely over one pound — mostly head and belly.